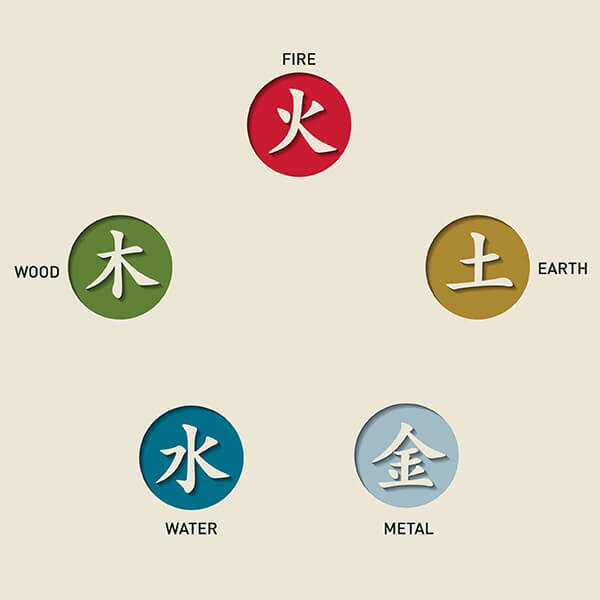 “Dry needle therapy” is a relatively new term in traditional Western medicine used to describe a pain relief technique that is foundationally and functionally an old acupuncture practice of Chinese medicine. Since its introduction it has been associated with many varying types of techniques, but today the term “dry needle therapy” is most appropriately used when referring to a procedure in which a standard acupuncture needle is inserted into a specifically targeted area of pain called a trigger point. The term “dry needle” was first used by Dr. Janet Travell in the 1940’s to distinguish between “wet needle” pain relief treatments – those consisting of an hypodermic needle injection of a solution, such as a nerve block or saline, from “dry needle” treatments, which involve the insertion of a needle without injecting a solution. During her research, Dr. Travell discovered trigger points and pain referral patterns that exhibited the same results with either the “wet” or “dry” needle technique. Later, she, along with Dr. David Simons, identified and mapped many of these observations in their co-authored publication ‘Myofascial Pain and Dysfunction: The Trigger Point Manual,’ providing a kind of blueprint still very much in use today among “dry needle therapy” practitioners. 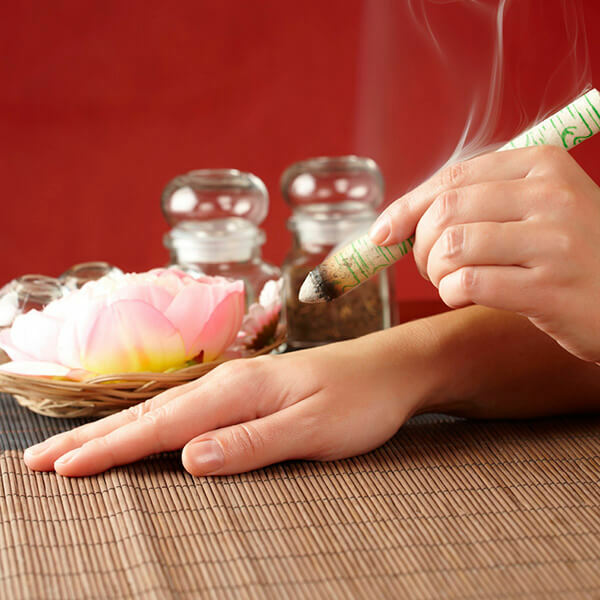 With “dry needle therapy,” Western medicine and Chinese medicine have arrived at essentially the same method of relieving pain, even though they are grounded in such intrinsically different medical philosophies. The convergence of disparate philosophies has not come without problems. One basic contention being debated questions whether trigger point dry needling belongs to the realm of physical science or that of acupuncture. And, who should be allowed to perform this procedure, it consequently asks – a Western medicine specialist or a skilled acupuncturist? To date, there is no research data to support whether one version of the “dry needle” technique is better than the other. At Ravenswood Chiropractic & Wellness Center we believe the skills and clinical training of the individual practitioner are among the most important elements for achieving successful treatment results. What does Dry Needle Therapy help? Some exciting new research being done by Western medicine has shown that using the acupuncture needle creates mechanical, neurological and biochemical responses within the muscle tissue being treated. For instance, dry needling will produce a twitch response (an involuntary spinal cord reflex), which is one of the first steps in breaking the cycle of pain, it has an inhibitory effect on antagonistic muscles and may activate endogenous opioids. Additionally, the important Local Twitch Response (LTR) may also use up the ACh (neurotransmitter) in the affected muscle, which, before the LTR, may have been causing an increased firing of fibers around the problem area. Finally, the body will perceive the acupuncture needle as something that does not belong where it has been introduced and it will mount an immune reaction, releasing anti-inflammatories, which (because they enter the blood stream), not only affect the targeted area of pain, but also the entire body. Eastern medicine, on the other hand, explains trigger point dry needling therapy as promoting the free flow of Qi (pronounced chee), aka life-force, and or Xue (pronounced shway), aka blood, which improves circulation and brings nutrients to an injury or area of pain. Similarly, as in Western medicine, the free flow of Qi or Xue described in Eastern medicine is also felt systemically throughout the body. Where do you put the dry needles? 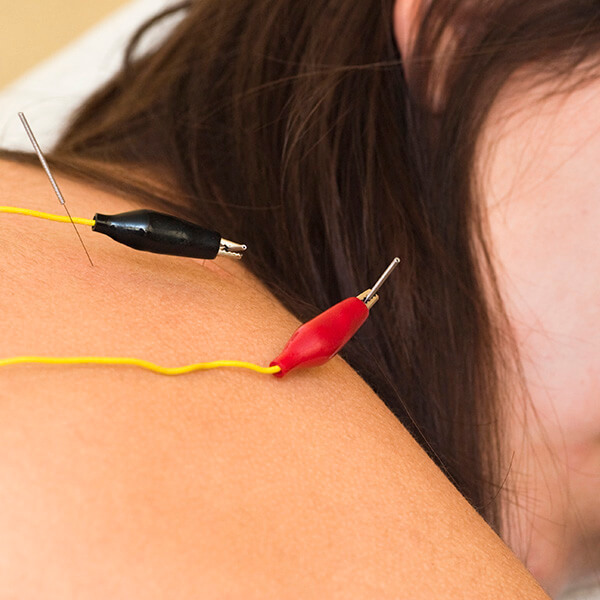 Depending on the practitioner’s training or the technique being used, the “dry needle,” (solid filiform, otherwise known as an acupuncture needle), may be placed into trigger points, around trigger points or in distant sites that relate to the trigger point or myofascial pain. Trigger point pain, or the sensation of where the patient feels pain, can be elusive and is sometimes radiated far from where the trigger point of pain actually resides. For example, the piriformis muscles located near the center of the buttocks may produce pain that is felt locally, or all the way down the leg (think sciatica). Another example would be the infraspinatus muscle located in the lower half of the shoulder blade, which can register pain in the “pinky” finger. Inserting an acupuncture needle into a trigger point or another area of muscular tension is the very basis of Traditional Chinese Medicine, which uses insertion sites called ah shi points. Remarkably, these classical acupuncture points, which have been used to treat pain for centuries correspond more than 90% (according to Dr. Travell) with current Western medicine pain maps indicating where trigger points normally occur. How do we do Dry Needle Trigger Point Therapy? 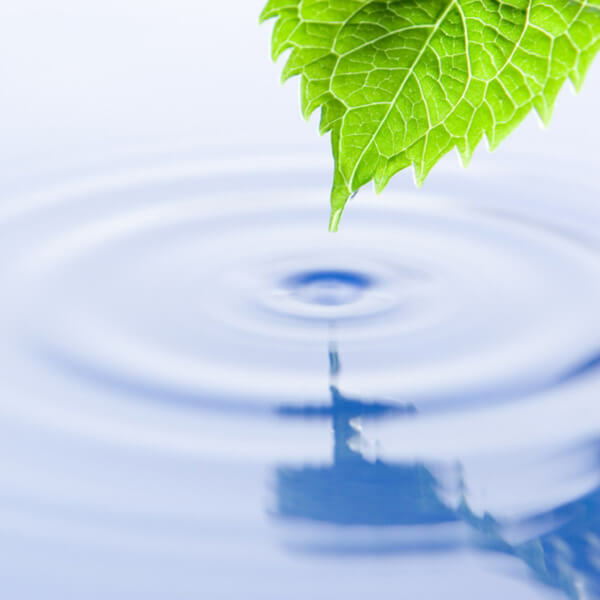 At Ravenswood Chiropractic & Wellness Center only our licensed Chicago acupuncturist performs dry needle therapy. We feel the technical and clinical training of our acupuncturist provides a unique perspective on trigger point and myofascial pain treatment with an adept, knowledgeable and caring understanding regarding what dry needling sensation to generate when working on specific points for treatment. Our dry needling technique is done using thin, sterile, stainless-steel, one-time use, disposable, solid filiform needles. The number of needles used depends on the patient’s condition. At first a mild, dull sensation may be felt with the initial insertion of the acupuncture needle. This usually subsides within one to two minutes. Treatment time normally lasts between 30-40 minutes. Follow up appointments may be recommended depending on the type of pain being experienced, how long it’s been going on and the symptoms being experienced. On average, a patient may expect to undergo about 4-6 treatments. 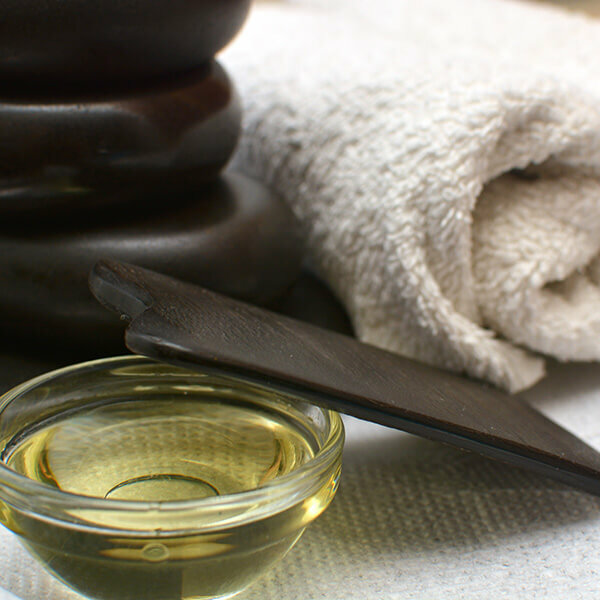 Other therapies may be used in conjunction with dry needle therapy to reduce pain, including cupping, gua sha, electrotherapy and press tacs. Schedule a Dry Needle Therapy Consultation TODAY! If you have any questions, or would like more information about how dry needle therapy may be beneficial for you, please call our office or schedule an appointment with our Licensed Chicago Acupuncturist. Our office is located in Andersonville on Ravenswood/Foster. 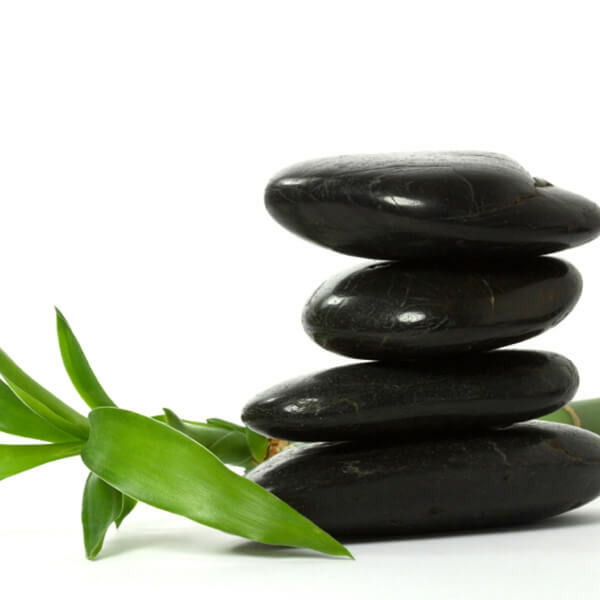 Find out more about our well-known acupuncture clinic in Chicago and some of the benefits of this drug-free therapy. Our licensed Chinese herbalist has over 600 hours of education and years of experience regarding this centuries-old practice. Learn more today! Moxa therapy involves burning a small amount of herbs to treat muscle tension, relieve menstrual pain, turn breech babies and more! Auricular acupuncture uses points on the ear to send electrical impulses to the brain and terat addiction, anxiety, depression, and many other conditions. Karakurum, B, et al “The ‘dry-needle technique’: intramuscular stimulation in tension-type headache“. Srbely,John Z. et al “Dry Needle Stimulation of Myofascial Trigger Points Evokes Segmental Anti-Nociceptive Effects” Journal of Rehabilitative Medicine. 2010; 42:463-468. Garvey, Timothy A., “A Prospective, Randomized, Double-Blind Evaluation of Trigger-Point Injection Therapy for Low-Back Pain“.